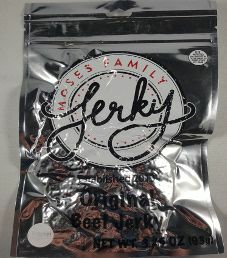 The next review for Moses Family Jerky will focus on a 3.25 ounce/93 gram bag of their original flavored beef jerky. This flavor is described as having a nice hickory flavor, piled into a bag just waiting to be eaten. 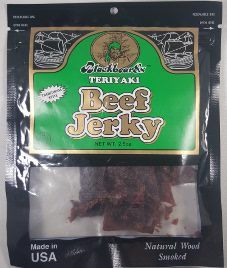 The jerky bag was kindly submitted for review by the president, Dakotah Moses. 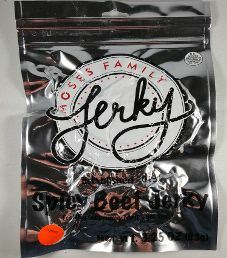 The next review for Moses Family Jerky will be on a 3.25 ounce/93 gram bag of their teriyaki flavored beef jerky. 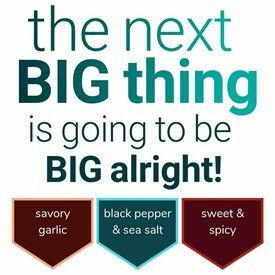 This flavor is described as having soy, garlic, a little onion, and a whole lot of perfectly dehydrated beef. The jerky bag was graciously submitted for review by the president, Dakotah Moses. 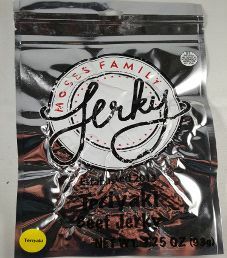 The first review for Moses Family Jerky will focus on a 3.25 ounce/93 gram bag of their Spicy flavored beef jerky. This flavor is described as a massive heat and massive cayenne blast, being infused with Old Grumpy Mark’s Hot Sauce. 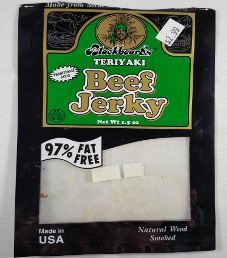 The jerky bag was kindly submitted for review by the president, Dakotah Moses.